Sirrus 50 brings true innovation and quality to the ventilated pack world. 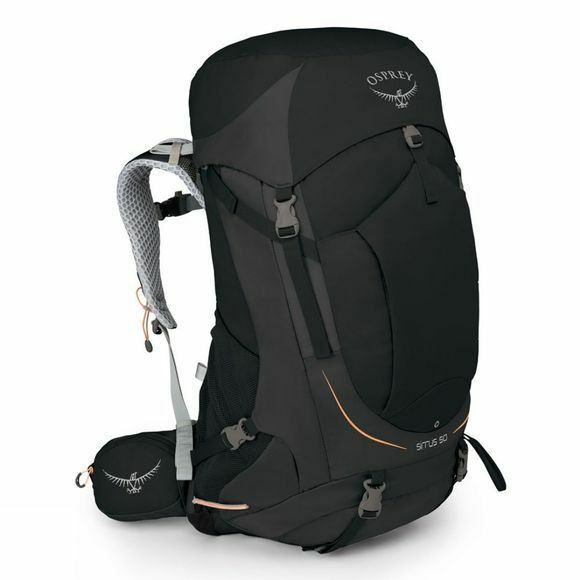 Inspired by Osprey’s AntiGravity™ technology, Sirrus 50 provides a fully adjustable AirSpeed™ ventilated back system which combines single piece construction of the backpanel and hipbelt with highly breathable suspended mesh. This allows for increased comfort in warm weather, even with a heavy load. Sirrus’ backsystem also offers an impressive women’s specific fit, with an ergonomically shaped hipbelt, harness, yoke and backpanel. The classic styling and clean design, alongside an impressively comfortable carry makes the Sirrus 50 a firm favourite for walkers and hikers and campers who are looking for a ventilated daypack with enough capacity for camping equipment and overnight gear, as well as plenty of extra layers and equipment for when the weather is changeable. The detachable raincover stored in the bottom pocket increases weather resistance and tough nylon fabrics ensure durability. Sirrus 50 features a double-clipped lid opening with draw-cord fastening, a large, easy access pocket in the lid and a vertically zipped expansion pocket on the front which is perfect for securely storing a jacket or spare layer for easy access. The side of the pack has a single vertical zip which allows access directly into the main compartment, saving you from having to open the lid top. 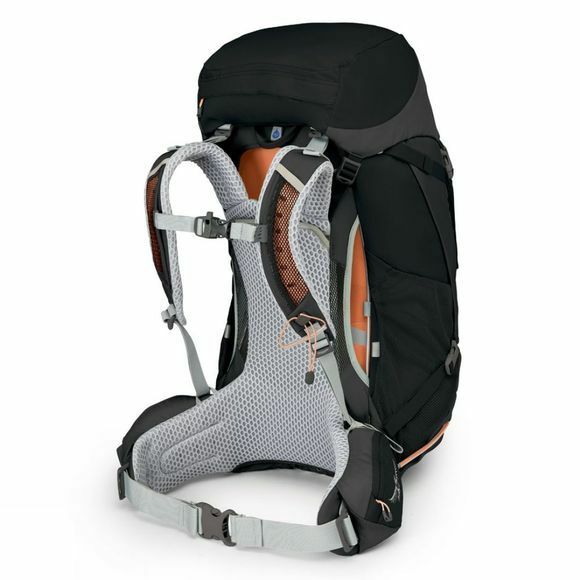 The base of the pack also features a zippered sleeping bag compartment with a bellowed divider, designed to allow easy separation of equipment. Sirrus 50 is the perfect pack for long days and lightweight camping trips in Spring, Summer and Autumn. Sirrus 50 is compatible with all Hydraulics™ and Hydraulics LT™ reservoirs.